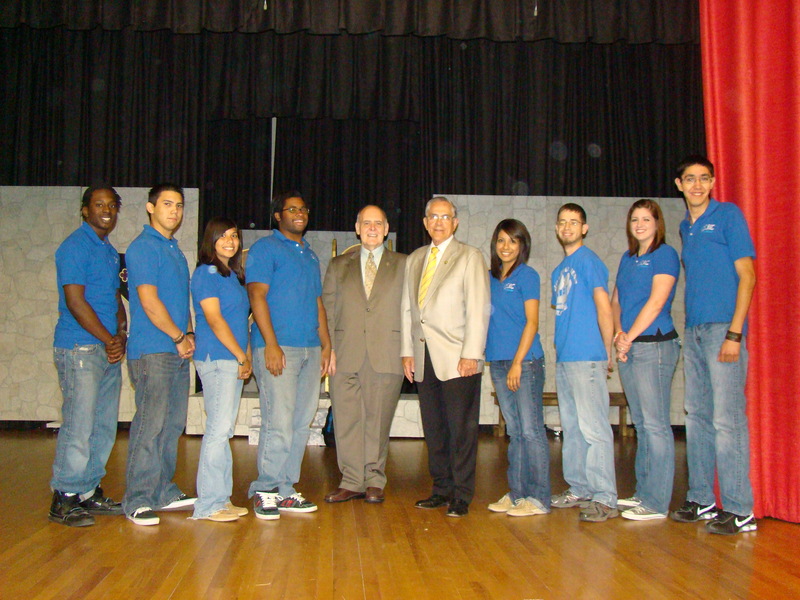 Coastal Bend College Ambassadors disucssed financial aid and educational attainment with U.S. Congressman Rubén Hinojosa [Distr. 15]. Ambassadors who met with the Congressman after the assembly are, from left, Monzelle White, Justin Moya, Ashley Gamboa, Joshua Lee, CBC President Dr. Thomas Baynum, Hinojosa, Jennifer Casarez, Robert Ramirez, Megan Montemayor and Marco Barrera.